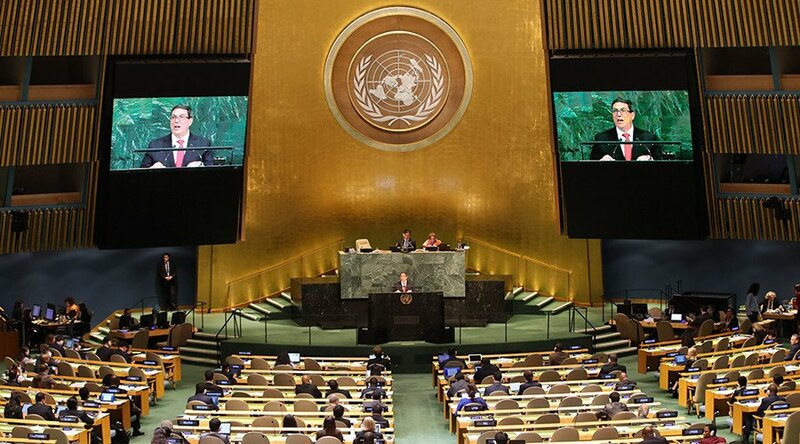 In the wake of President Donald Trump’s controversial speech at the UN General Assembly, Cuba delivered a zinging takedown of US hypocrisy in a wide-ranging speech that targeted climate change, military invention, poverty and nuclear threats. 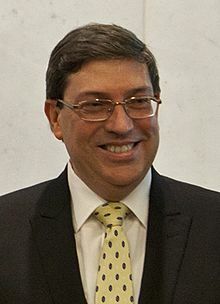 Rodriguez pointed to the US’s use of weapons and pressure to interfere in other nations’ affairs, and highlighted the hypocrisy in Trump’s speech that lauded the nation’s sovereignty while at the same time threatening the sovereignty of countries such as Cuba, Venezuela and North Korea. “The US government has come here to tell us that, in addition to prosperity, the other two ‘beautiful pillars’ of international order are sovereignty and security,” he said. Trump “manipulates the concepts of sovereignty and security to his exclusive benefit and to the detriment of all others,” Rodriguez said. NATO member states that promote “military interventions and non-conventional wars against sovereign states” also found themselves in Rodriguez’ crosshairs. “Unilateral coercive measures and the use of financial, legal, cultural and communicational instruments to destabilize governments” has “become customary,” Rodriguez said. “Non-interference in the affairs of governments must be respected,” he added. Rodriguez reminded the Assembly of Trump’s comments about promoting “the prosperity of nations and persons,” before damning the president with statistics. “That reality belies those who claim that there are not enough resources to eradicate poverty,” he said. “Could the several decades of bloody military dictatorships in Latin America be referred to as an example of a successful capitalism?” he asked. Rodriguez hammered home the need for the “democratization of the Security Council,” which currently has 15 members, five of which (US, UK, Russia, China and France) are permanent and have veto powers. Vice President Mike Pence was also slammed for “ridiculously ignoring the functions of the Security Council” in his efforts to modify the Human Rights Council, which Pence said “doesn’t deserve its name” as some of its members fail to meet any minimum standards.